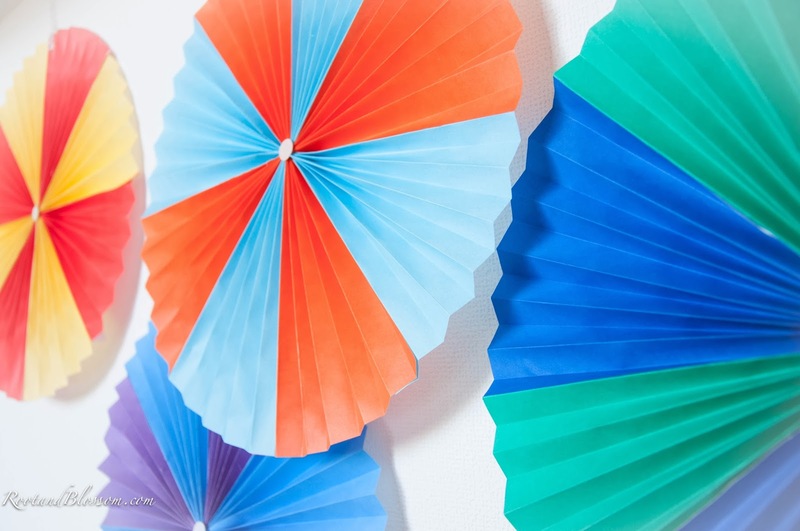 Rootandblossom: Make a Paper Rosette for JUST 8 Cents! 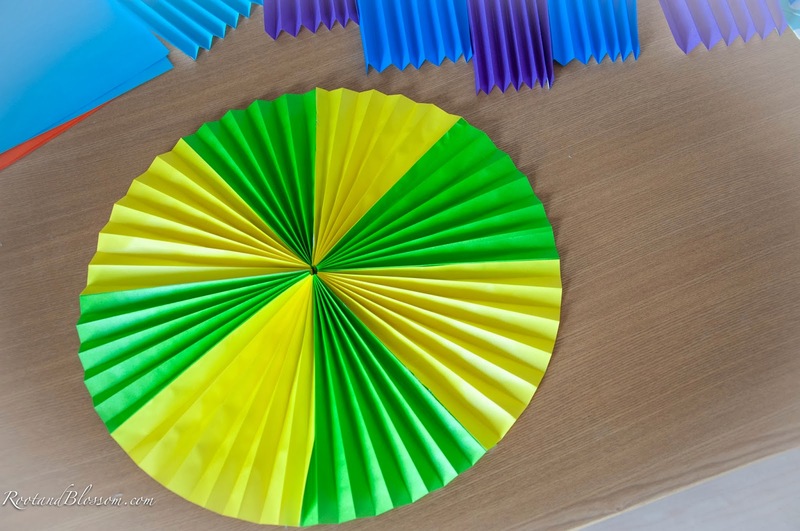 Make a Paper Rosette for JUST 8 Cents! For Gabriel's birthday I bought some paper rosettes from Party City and those can set you back upwards of $2 a piece! 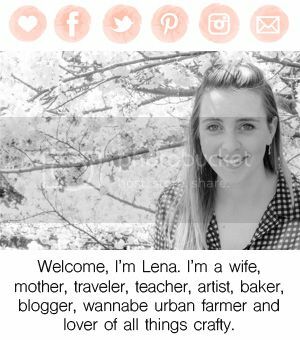 I felt like there should be some way to easily make them DIY but with all the planning on my hands I didn't venture in that direction. 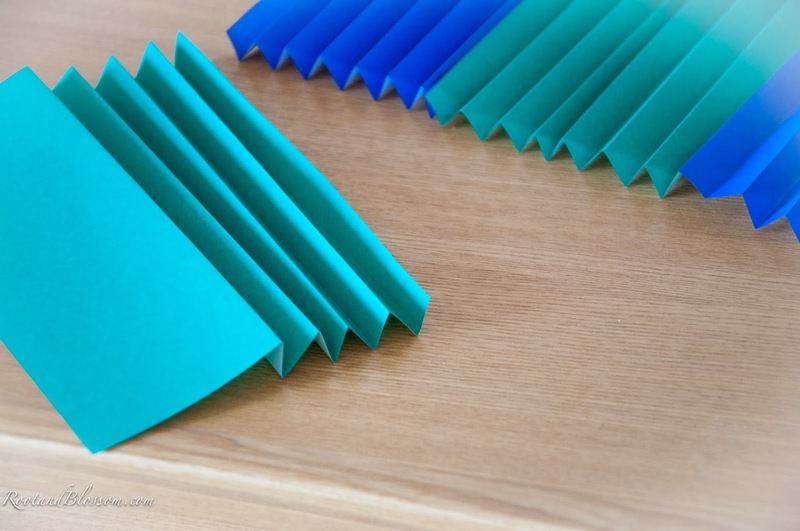 Since the party I came across some tutorials on blogs using scrapbook paper but that can are up fast and cost just the same as the store bought rosettes! The other day at the dollar store I came across a pack of 100ct origami paper and figured using it to make some rosettes would be very money savvy. 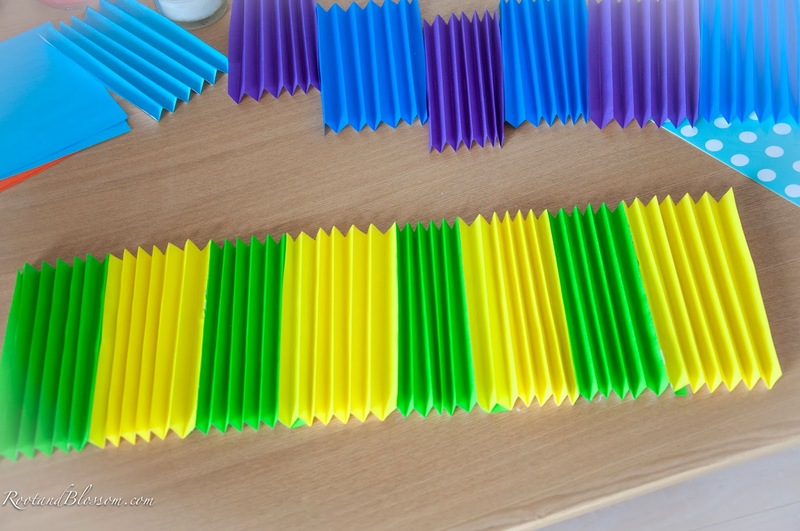 Each rosette takes 8 pieces of origami paper (or any square piece of paper). 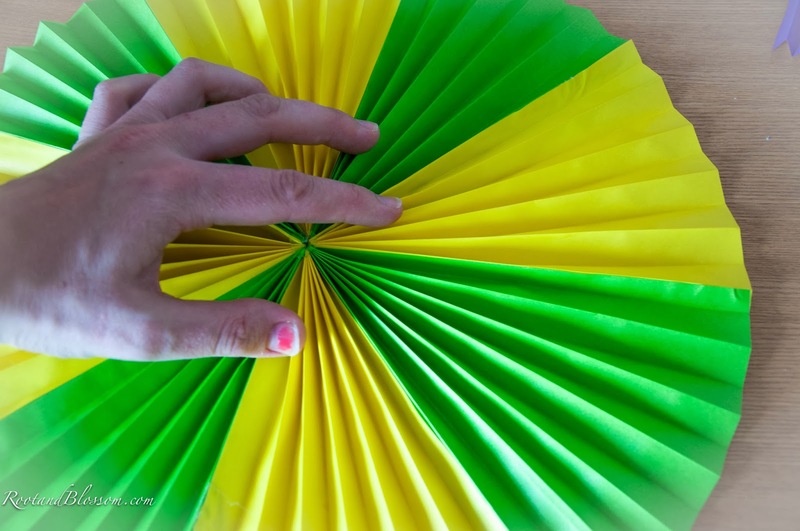 Remember when you were a kid and accordioned paper to make fans? 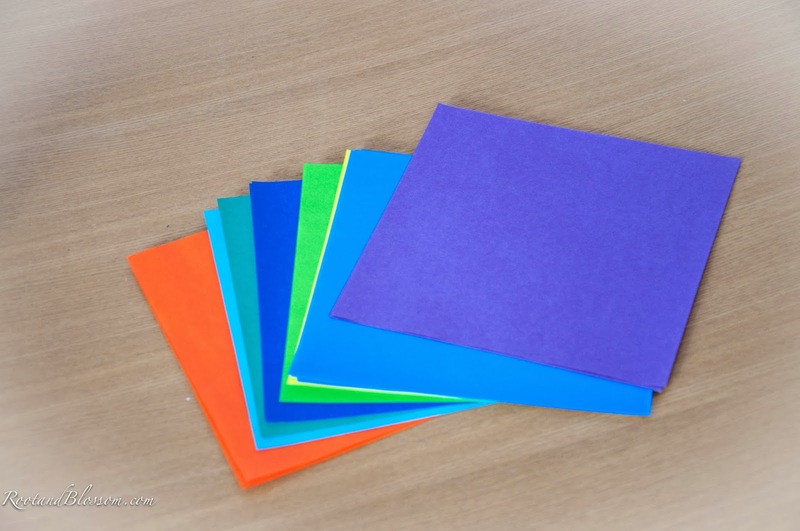 Well that's what you'll do to the 8 pieces of paper. The great part is that the accuracy of the folds isn't very crucial. 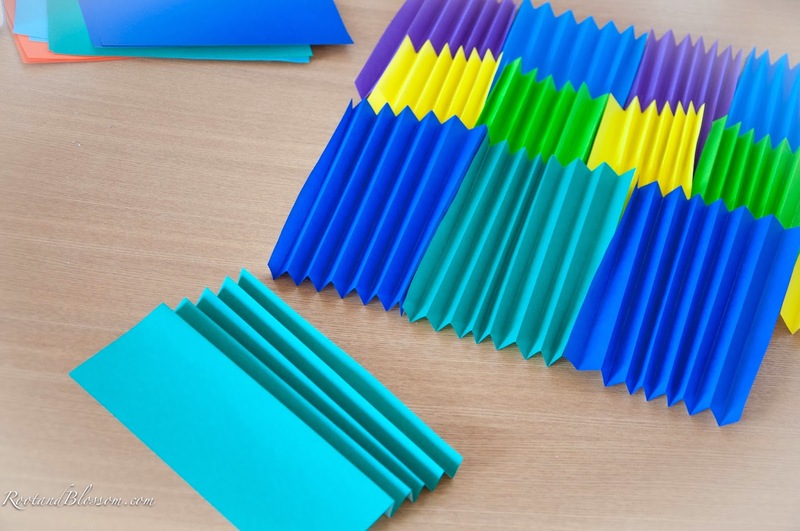 As long as each fold is about the same then it will work great! I had a few folds that I thought for sure would make a difference but it was fine. Attach the pieces together with some sort of adhesive. I've seen people use double stick tape but I used hot glue because I feel like it would hold the best. Fasten the accordion train together into a complete circle then make the inside side scrunch in the middle. I found this part to be a lot of fun! While holding the center tight together, place a dab of hot glue in the middle and hold together until the glue is dry. You can place a sticker or piece of paper in the center to cover up the hot glue spot and then you are finished! 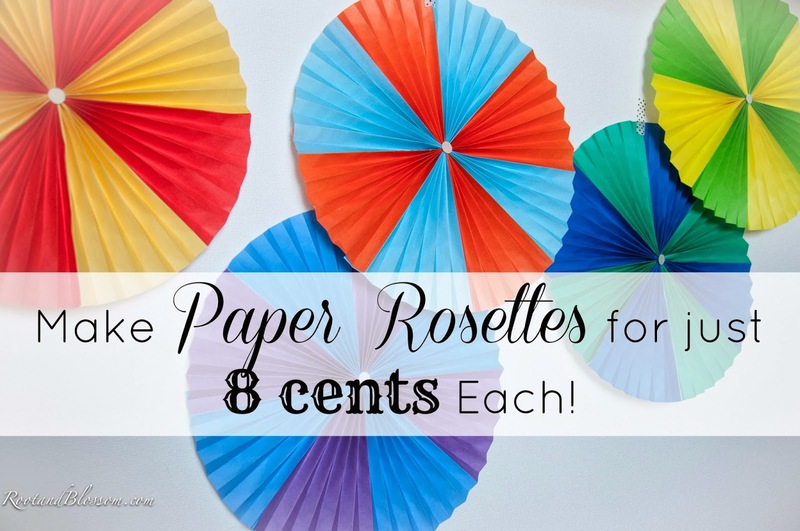 There you have it, 100 pieces of paper for $1, each piece of paper is 1 cent so each rosette only costs 8 cents! Pretty awesome huh? Way cheaper than $2.00 each.